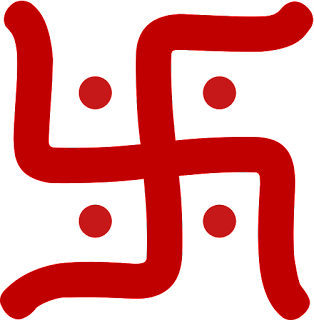 Swastik is the symbol of universe. Its middle part is Vishnu’s naval. The four lines are Brahma’s four face and four hands are four veda. The four points of swastik denotes four sides. Swastik is important as religious purpose. Swastik meaning is welfare or auspicious. Therefore, swastik means welfare or making auspicious. Swastik is the special design. It is made from starting any auspicious work. It is believed that it attracts auspicious work from four sides. It is used in starting of the work and auspicious work. It is also the form of lord Ganesha. One gets prosperity and concentration through swastik. If it is not used in any worship then its effect not remains for long time. The proper swastik gives plenty of positive energy. This energy is helpful to protect stuff or person. If the energy of swastik is used in home, hospital and daily life then person remains disease free and stress free. However, improper use of swastik creates serious problem. The lines and angle of swastik should be proper. Do not use improper swastik. It is beneficial to use red or yellow color swastik. Keep swastik where you want to reduce the effect of vastudosha. Keep red color swastik on the main entrance of home. You can also keep swastik on worship place, study table and vehicle. Wear gold or silver swastik in red thread. It is beneficial to increase concentration. Keeping swastik on electronic items won’t damage it. Swastik is used in every auspicious work. The left part of swastik is the power of Ganesha. It is the “G” bijmantra. Its four points has Gauri, pruthvi, kachap and many gods. Swastik is very important in lord Ganesha’s worship. Swastik is also used in goddess Lakshmi worship. It looks same from four sides due to its texture. Swastik is lord Vishnu’s stance and goddess Lakshmi’s form. Swastik made from sandalwood, kumkum and vermillion removes grah dosh. It increases wealth. Swastik is considered as fateful.